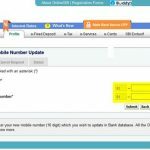 SBI Mobile Number Change Step-by-Step Guide. 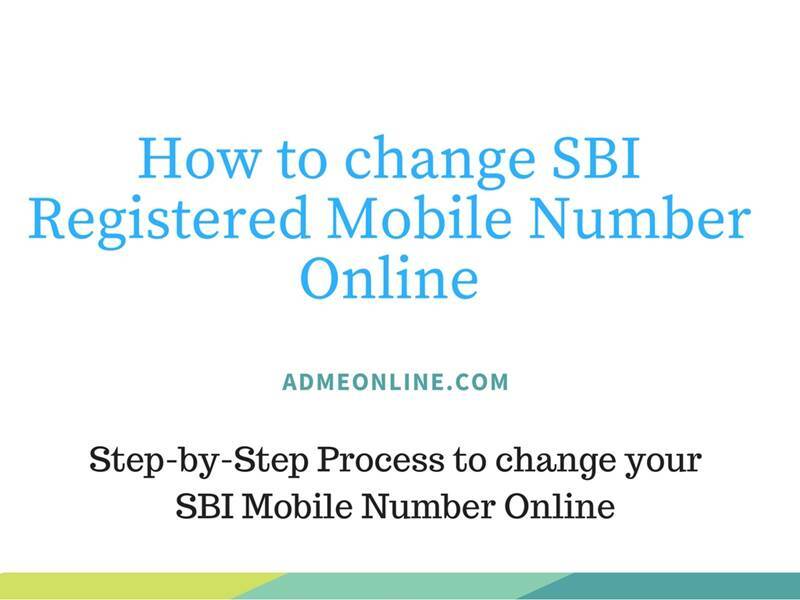 Learn How to Register and Change your SBI Registered Mobile Number, without visiting your Branch and Submitting the SBI Mobile Number Change request Form. If you have not registered your Mobile Number with SBI, you can Register the Mobile Number in your SBI Account by visiting any SBI ATM or Home Branch. 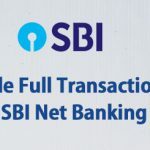 But when you submit the SBI Mobile Number change request letter at the bank, it may take around 24 hours to process the request and update the Mobile Number. You can change the Mobile Number immediately using SBI Online Net Banking (Using SBI Net Banking Login). Please note that Online SBI Mobile Number change can be done, only if you have registered a Mobile number with your SBI Account (For security reasons). 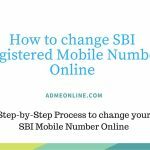 Follow below steps to Change Mobile Number in SBI Account. Click on ‘Profile‘ menu and then click ‘Personal Details / Mobile‘. Enter your SBI Profile Password and Click on the hyper link ‘Change Mobile Number-Domestic only (Through OTP/ATM/Contact Centre)’. 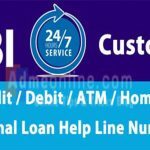 How to Register Mobile Number in SBI ATM? Visit any nearby ATM, swipe your SBI ATM card and select ‘Registration‘ option from the menu. 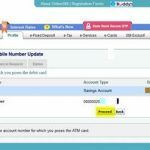 Now enter your SBI ATM Pin Number then select ‘Mobile Number Registration‘ option. Enter the Mobile Number you want to register with the SBI Account. Verify your entered mobile number is correct and confirm the same by selecting ‘Correct‘ option. Re-enter the Mobile number and select the ‘Correct option‘. Now you can see a Message in the ATM Screen “Thank you for registering your mobile number with us“. You will get a Reference Number via SMS in your Mobile. With in 3 days, you will get a call from the SBI Contact Centre. 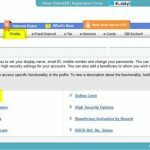 They will verify your Account details and register your Mobile number in the SBI account. You will receive a confirmation SMS in your registered Mobile number. Very Important: When you get a call from the SBI Contact Centre, make sure that they have the correct Reference Number received via SMS in your Mobile, when you have registered the Mobile number in the SBI ATM. There are many Fake/Fraud callers, they will ask your ATM card CVV Number and OTP sent to you. SBI will never send an OTP for the Mobile Number registration. Never share any OTP received in your Mobile with anyone, even if they claim that they are from the Bank or SBI Contact Centre. 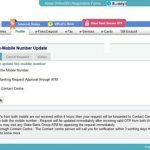 Check SBI Mobile Number Registration for Balance Enquiry here. If you have a registered Mobile number in your SBI Account, you can change it by using Onlinesbi (SBI Internet Banking Account). 2. 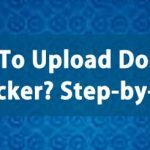 Step 2: Click on the 'Profile' tab. 3. Step 3 : Now enter your SBI Profile Password and click on 'Submit' button. 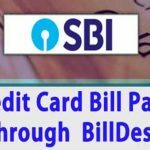 How to change SBI ATM (Debit Card) PIN Number online. 4. 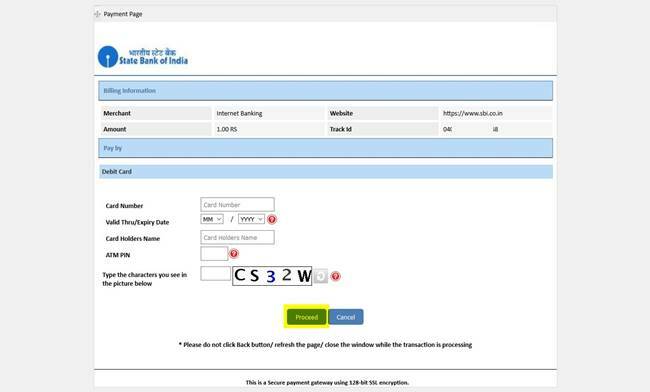 Step 4 : Click on the link 'Change Mobile Number-Domestic Only (Through OTP/ATM/Contact Centre)'. 5. Step 5 : Now you can see an option to 'Create New Request'. Enter your New Mobile Number and Confirm the same by typing the Mobile number again. Then click on the ‘Submit‘ button. Please note that, once the Mobile number is changed, all OTP and other alerts will be in this new Mobile Number. 6. Step 6 : Now you will get a popup message to verify and confirm the Mobile No. Click ‘OK’ to proceed. . If you have both the Old and New Mobile Number, you can approve the SBI Mobile Number change by using the OTP. Otherwise Select ‘IRATA : Internet Banking Request Approval through ATM‘ and see the instructions below. You will get an OTP in your Old and New Mobile Number.After verifying the OTP, the Request will be updated immediately. If a Valid OTP not received with in 4 hours, you will get a call from the SBI Contact Centre. Step 3 : Now you will get a Payment Page (For Card Validation). 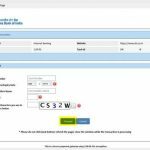 The Amount Rs.1/- in the Card Validation page is indicative and no charge will be taken for this service. Step 5 : Now you will get an OTP and a Reference Number in both your Old and New Mobile Number. To complete the Mobile Number change process using OTP, you have to send both the OTP and Reference Number in the below format to ‘567676’. Now your new Mobile Number will be updated immediately in your Internet Banking Account, ATM etc. You will get a Confirmation message and you can see the status in your Online SBI => Profile=>Personal Details-Mobile Number Update. agar aapako kisee madad kee zaroorat hai, to hamaare saath chait karen (apana eemel pata darj karen) ya neeche dee gaee tippanee ke roop mein apanee kveree post karen. will be sent by INB system on your new mobile number. Step 6: Find any nearbt SBI ATM, swipe your card, select the ‘Services’ tab and input your SBI ATM PIN. Step 7: Select ‘Others’ tab on the ATM screen and choose ‘Internet Banking Request Approval’ option. Step 8: Enter the 10-digit reference number received in your new Mobile number for approval of the request. You will get a confirmation Message in your new Mobile Number. You will get a SMS with “Reference No.” for Change/Update mobile number. Bank’s Contact Center person will call you within next 3 working days on your new mobile number. Verify the Reference Number when you get the call from SBI Contact Center and share your personal details and “Reference No.” only after confirming that, the caller is from SBI Contact Center. ie; Do not share your Reference No with anyone. On successful verification of information, the new mobile number inputted by you will be updated in the SBI Account. If you need any help, Enter your Email address and Chat with us or Post your query as a comment below. We will try to reply as early as possible. Share this useful information with your Friends and for more updates, Follow us on Facebook and Twitter. 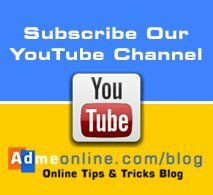 Subscribe our YouTube Channel. If you have any Questions / Need help in changing SBI Registered Mobile Number Online, Post your Comments below. You can change your SBI Mobile Number Online and can use any of the below methods to complete the approval. 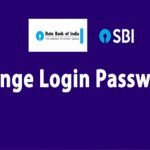 Login onlinesbi account and follow the instructions in this post to change the Mobile Number in your SBI Account. 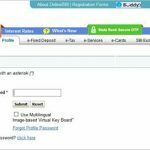 I’m gonna change my registration mobile number so how can I ??? Message Register my new mobile no 9556582934 has aadhaar in my SBI A/C no 31985857135 old mob no 993889057 has no aadhaar link is lost. And I want Register mobile no in my account. 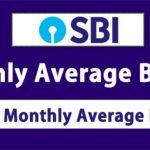 i want to change my regitered mobile number from my sbi account. But when i try it online the they ask me OTP code but my old number blocked . Now how i change mobile number with out otp …please help …. out otp …please help …. My old sim is out of service so how I’ll get my reference number in my old sim? No network in my old sim so no otp or reference number will come. Sir, Aircel No. is not working. Both old & new OTP not possible. How I will change my mobile No. 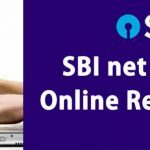 in SBI A/C online ? You can use the Approval through ATM or Contact Centre method to change your SBI Mobile Number. I am not able to send the message to 567676 through my new mobile number which i want to register. 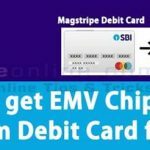 logon to onlinesbi.com and follow the instructions.